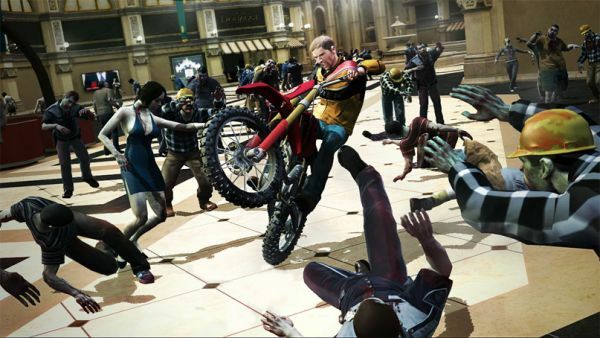 Capcom is talking about a sequel to their latest successful zombie slayer, Dead Rising 2. Not only was DR2 a big hit, the XBLA exclusive Case Zero did very well, too. The publisher says that Case Zero has had over half a million downloads. I think making money is part of the Capcom business model, so expect more downloadable content to be heading your way. We already brought you the news about the XBLA exclusive epilogue to DR2, Case West. Still unreleased, this title will bring back Dead Rising 1 protagonist, Frank West. Unlike the prologue episode, Case Zero, it will support online co-op. In a recent interview with CVG.com, Capcom COO David Reeves talked about more digital content filling in the gaps between Dead Rising 2 and Dead Rising 3. Obviously, with all of that success on Dead Rising 2, it makes sense to move onto Dead Rising 3," said Reeves. "I think that they [developer Blue Castle Games] may extend it by bringing in new characters and new interactions, or bring back others from before. The idea would be that we'll bring digital content to bridge a link between DR2 and DR3. It's a bit like an online game in that way - a continuous story. I don't want to say episodic, but I think you'll be find there'll be scriptwriters coming in to [continue the story]. Reeves may not want to say 'episodic', but he sure is saying exactly that. For those of you keeping score, that's two exclusive downloadable episodes for the Xbox 360, and a big ol' goose egg for the PlayStation 3. Picture Kanye West standing next to a shocked Mike Meyers. Is that in your head? Good. Now, say it with me, Kanye: "Capcom doesn't care about PS3 owners." Okay, maybe they do. But they probably don't. Xbox 360 owners can look forward to playing Case West when it releases in the near future. PS3 owners can pretend they don't care.